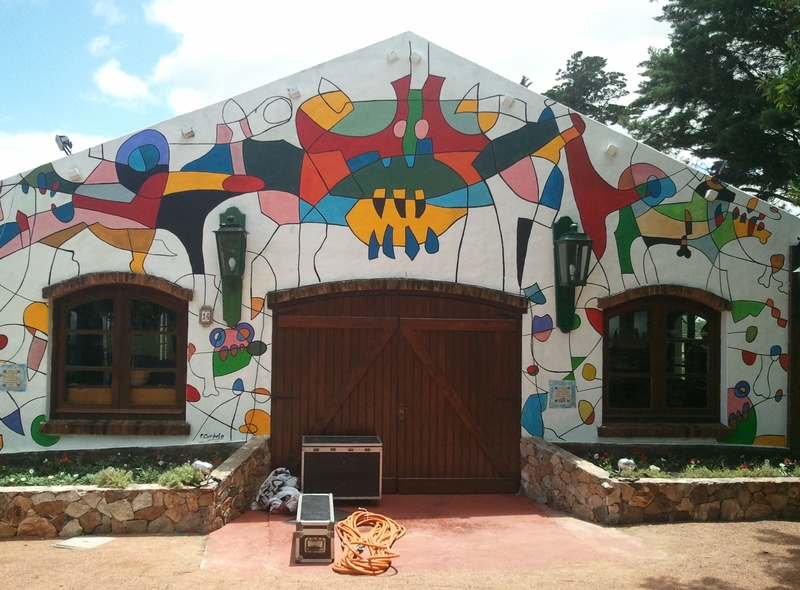 Punta is a place where people feel comfortable – here LBJ attended an American summit in 1967, the World Trade Organisation began with the Uruguay GATT talks here in 1986, American film stars buy houses here. 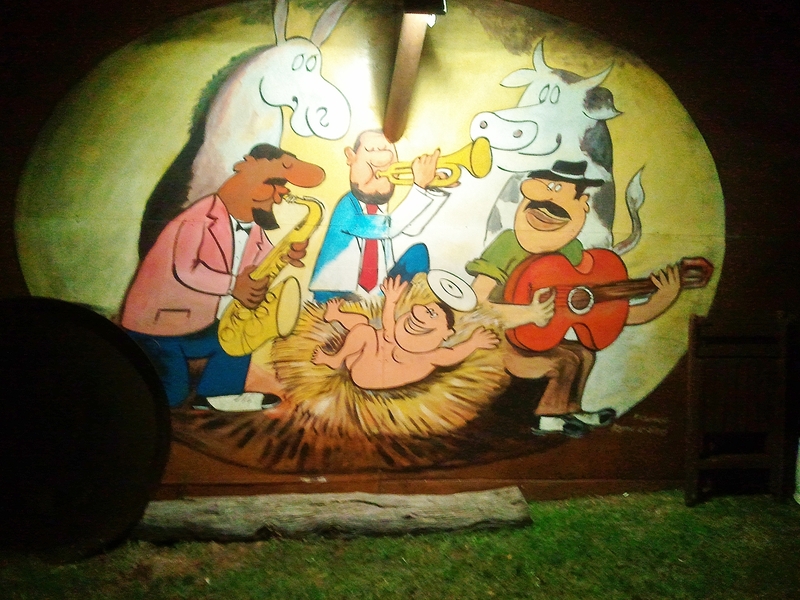 Dairy farmer Francisco Yobino began a jazz festival here in 1996. 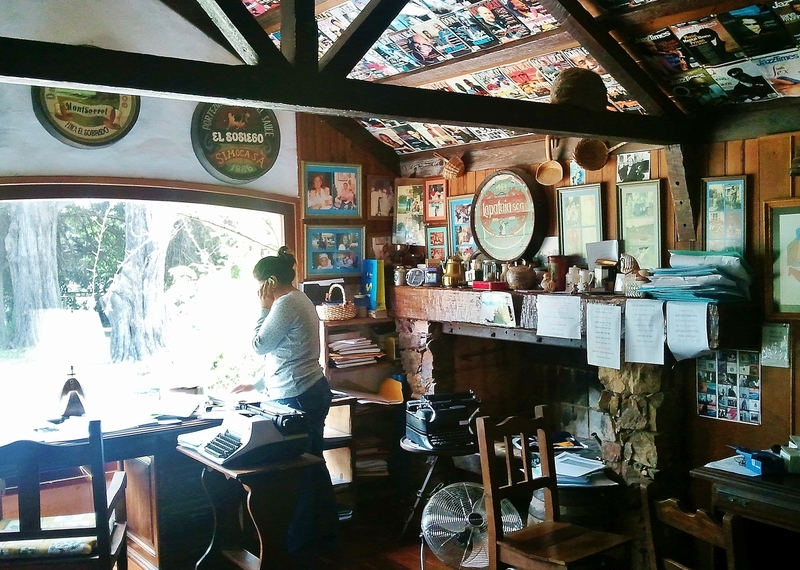 His Finca del Sosiego was doing well making dulce de leche – milk-and-sugar fudge, a popular dessert in Latin America – and he had diversified into leisure activities. His first love, jazz, proved irresisitible. He is no longer farming, but the show goes on. 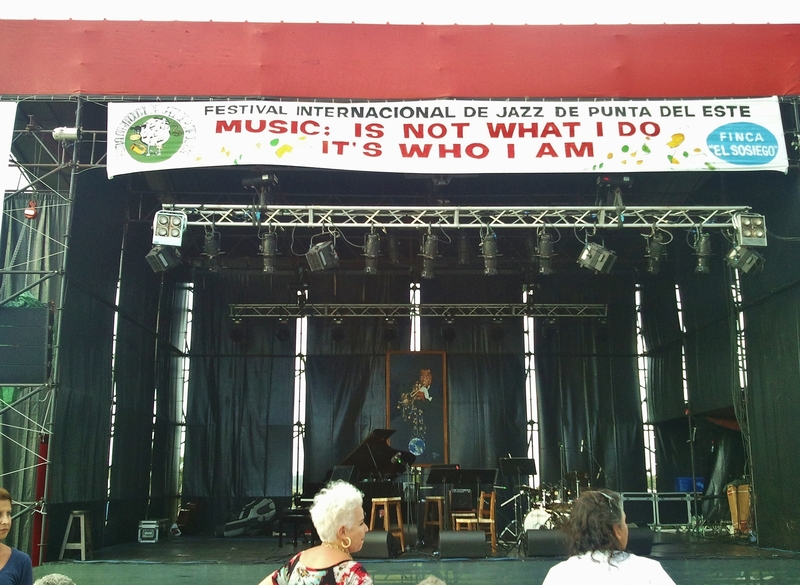 The musical director is veteran Cuban clarinettist Paquito D’Rivera, an international performer and composer, one of three band leaders featured on the night we went. The music began while it was light, led by drummer Carlos Carli. He’s a long-time collaborator with D’Rivera, born in Uruguay – and very pleased to be back – now running a music school in Madrid, and he’s played with Gary Burton and Pat Metheney among others. With Ricardo León on piano and Cono Castro on acoustic bass, we had a tight rhythm section. His ensemble featured Spanish bandoneon player Leonel Gasso, a well-known accompanist of tango singers and a veteran of tango shows. The bandoneon – a concertina originally from Germany and a standard instrument in the tango’s orquesta típica – is an unusual jazz voice. 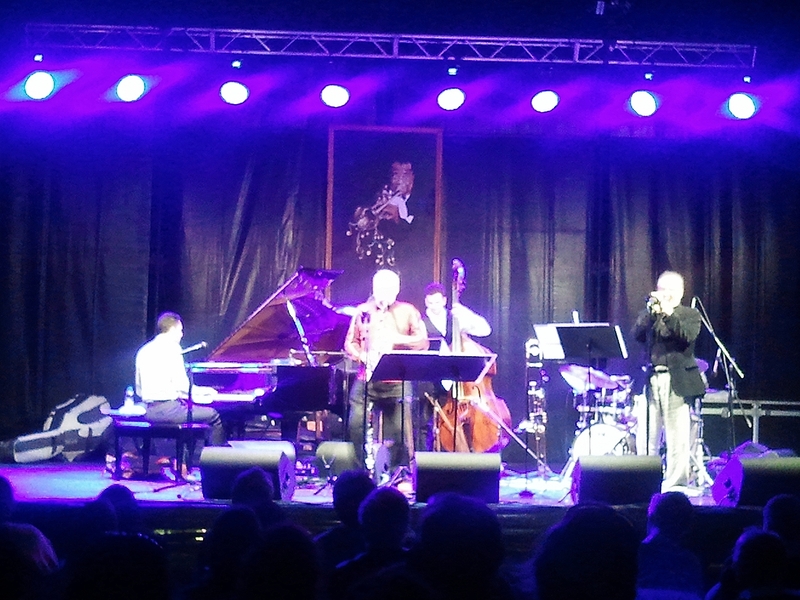 Gasso gave it full play – and in the more familiar tango repertoire of Astor Piazzolla – playing the instrument balanced on one knee while the jazz flowed steadily underneath. 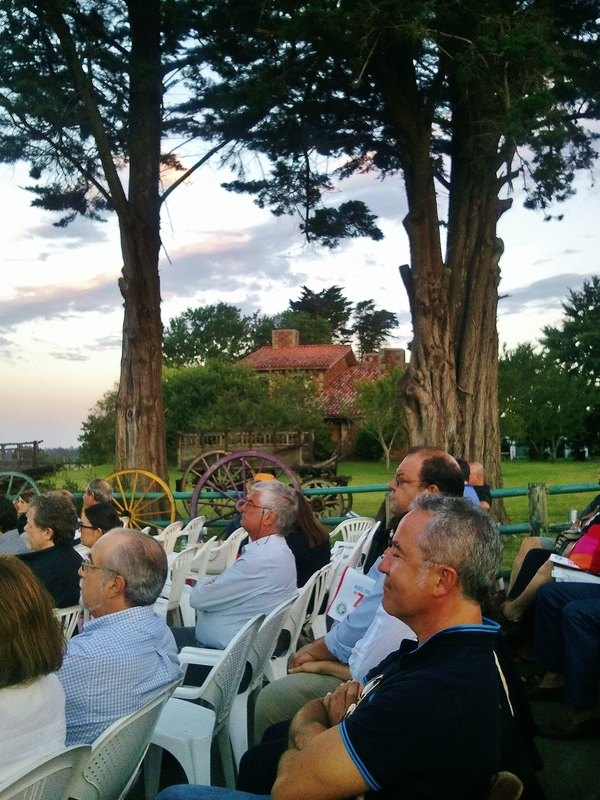 The audience, many of a certain age, and from Brazil as well as from Argentina and Uruguay, responded enthusiastically, though no-one danced the tango … The Uruguyan Vice-President was reported among the audience, a sign of how seriously Uruguay takes its culture. 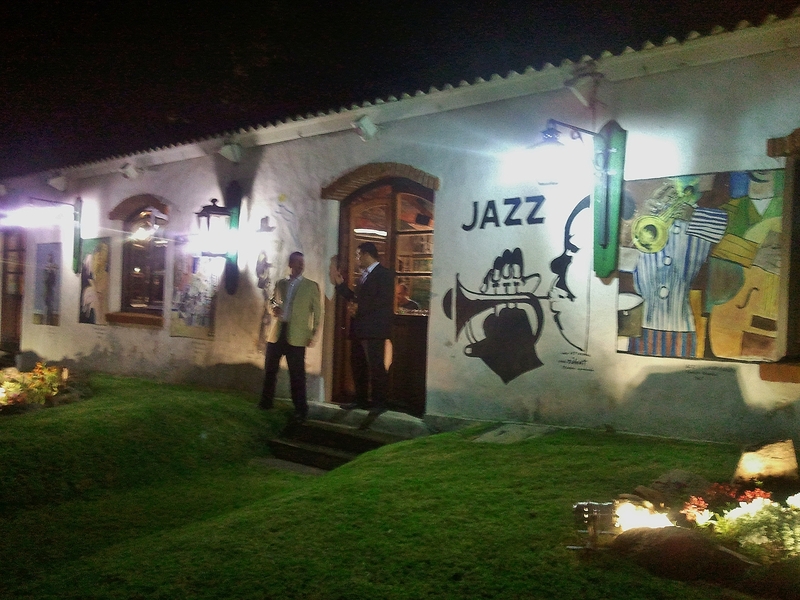 As darkness fell, Paquito on clarinet and Diego Urcola on trumpet guested with Carli, bringing on the night in style. 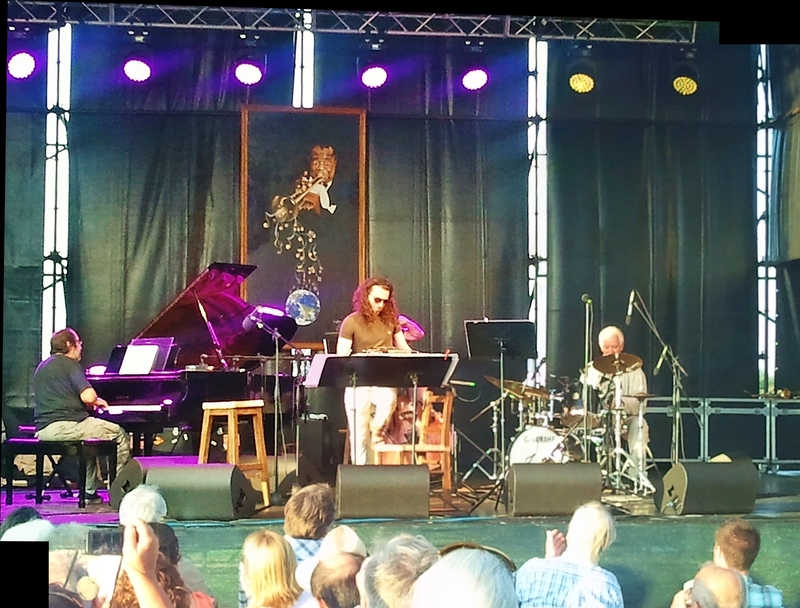 They stayed on stage for the second set, joined by Alex and Zachary Brown on piano and acoustic bass, and Eric Doob on drums – young US musicians who also played an impressive bracket as a piano trio. 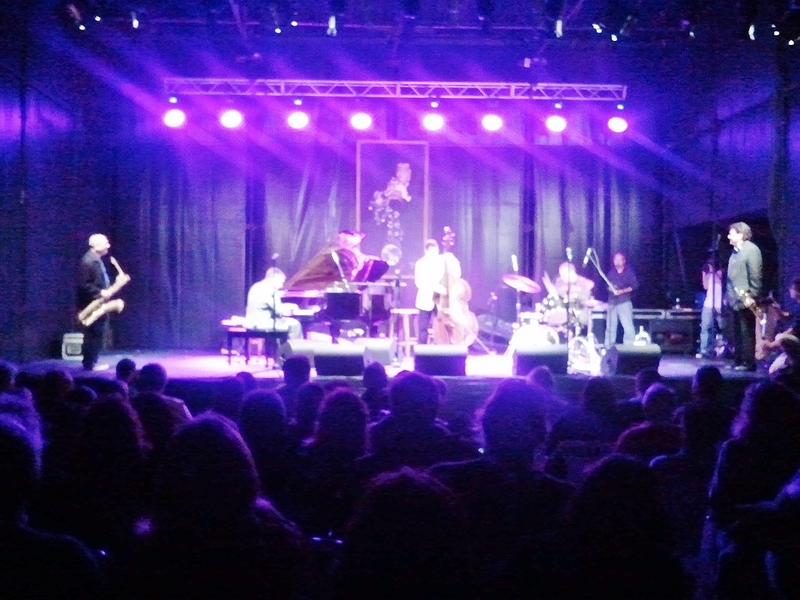 The Quinteto played a series of classical melodies – Bach, Chopin, Beethoven et al – in a jazz vein, improvising around the well-known tunes with great good humour. D’Rivera plays with strong rhythmic drive and lyrical sweetness. And he’s an accomplished showman as well, chatting and joking with his audience, and giving his colleagues room to shine. We were in a fine frame of mind at the second interval. 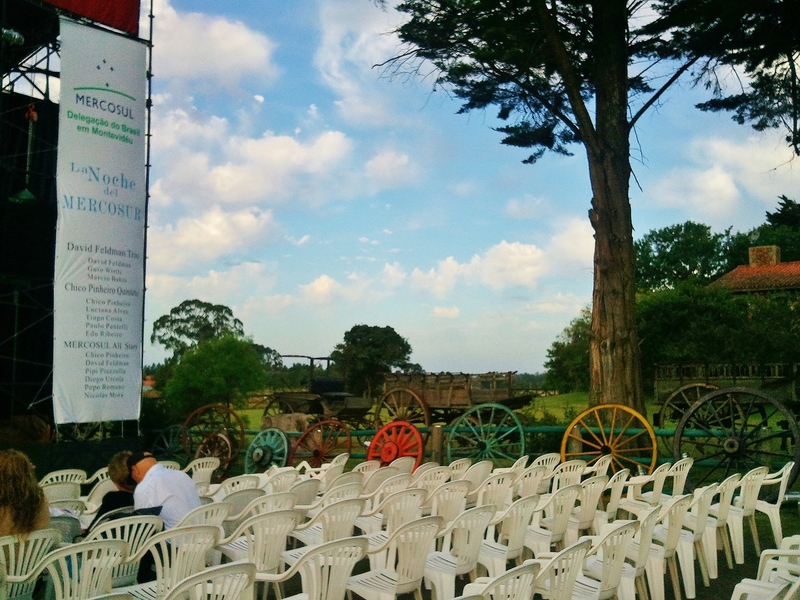 I strolled around for a look at the festival. The dining room was being prepared for the after-concert paella and, the PA system in the corner suggested, a musical feast too. 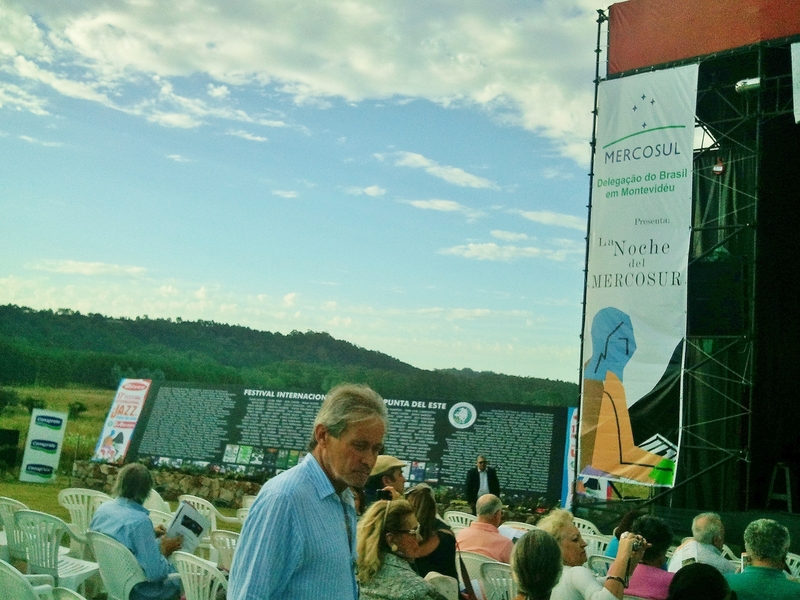 Corporate sponsors could enjoy the use of a pavilion with table service close to the stage during the concert, though there were no takers this time. Some people did come dressed for dinner. 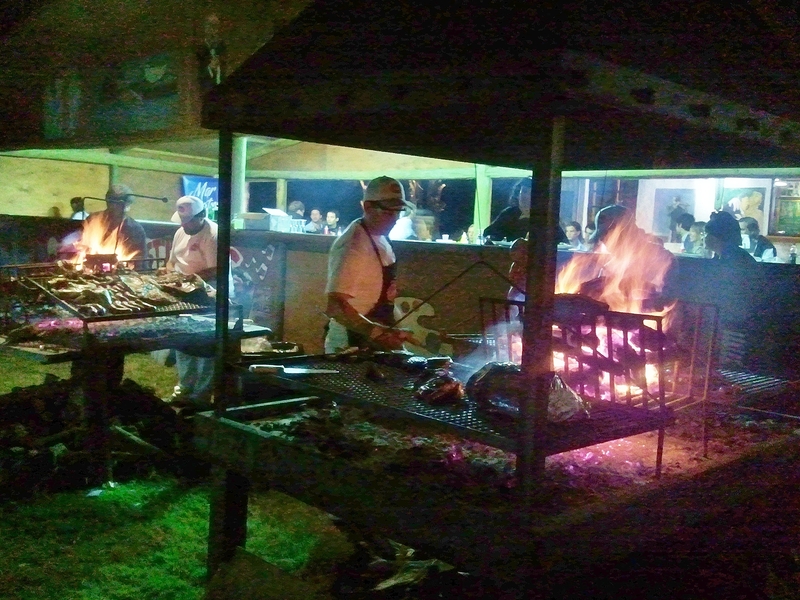 The well-organised facilities also included simpler food and drink – that essential for an enjoyable evening in Uruguay, the parilla or barbecue grill, was doing a roaring trade. Punta has about 10,000 residents, 15,000 if you include the surrounding country, but it is boosted hugely by tourists during the summer. 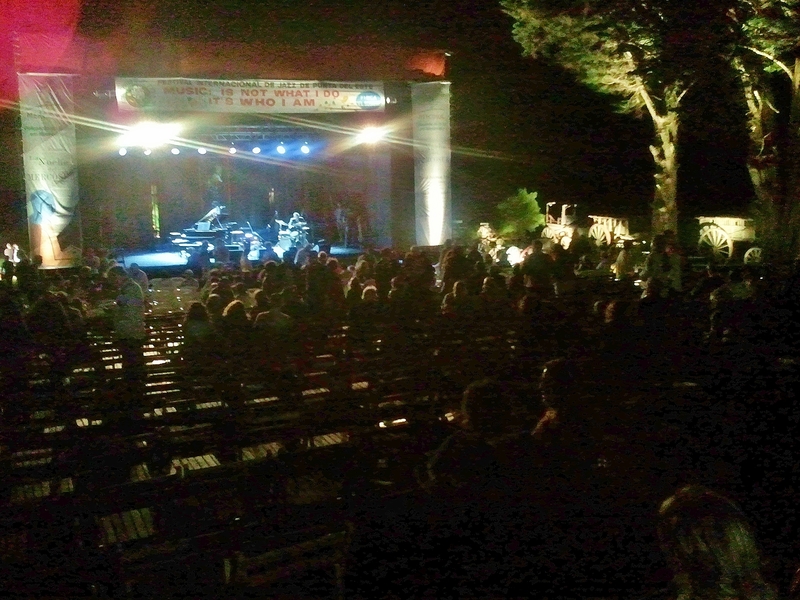 An evening’s jazz was an inviting prospect after a day at the beach – the 500-odd seats had almost all been taken. Perhaps it was the fresh night air thinning out the crowd. The final band of the evening, the Gary Smulyan Quintet, hails from New York. Once again a trio of hugely competent young musicians drove the rhythm section – Mike LeDonne on piano, John Webber on acoustic bass, Joe Farnsworth on drums – enabling Gary Smulyan and special guest Joe Magnarelli on trumpet to run wild and free. A diminutive figure, Smulyan sports a baritone sax which he plays with startling ferocity and attack, though he can also blow sweet and low. The aficionados who remained were treated to a whirlwind tribute to cool jazz and bebop giants of the instrument Gerry Mulligan and Pepper Adams. 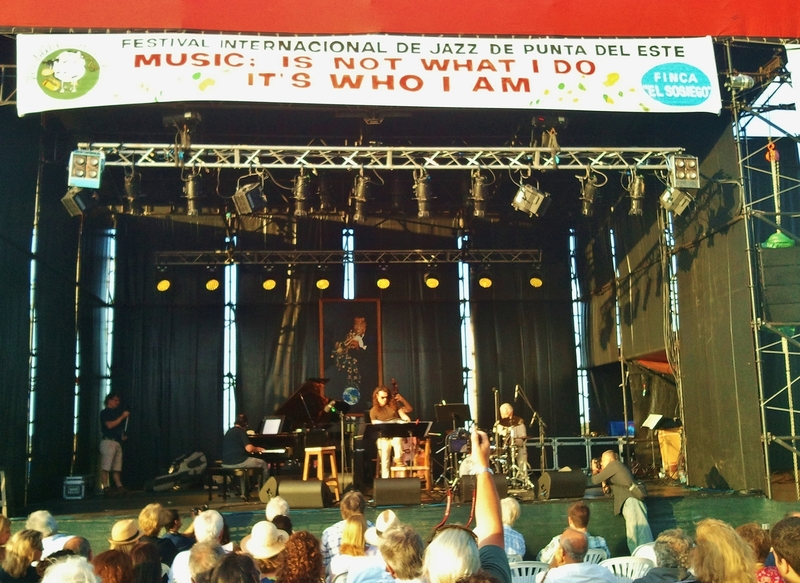 On this showing, Punta serves up a good-natured and world-class festival. 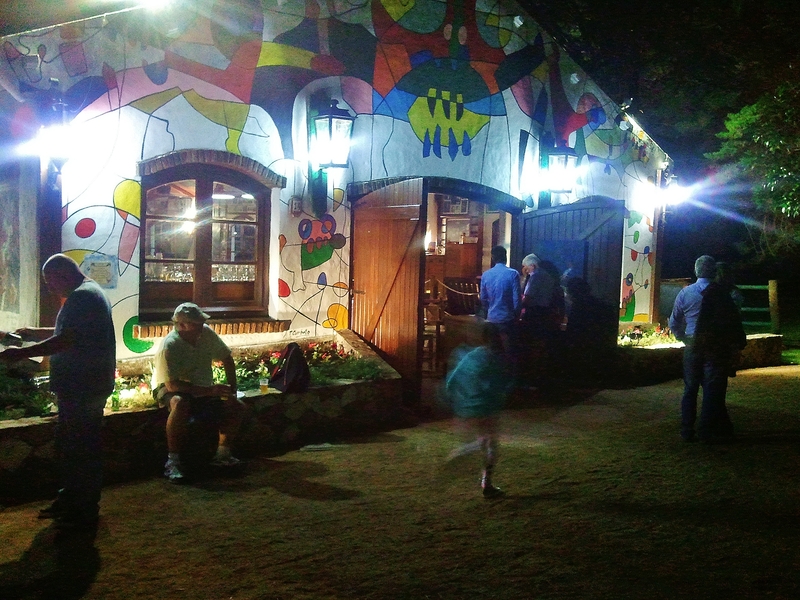 Other Punta venues also deliver excellent music. 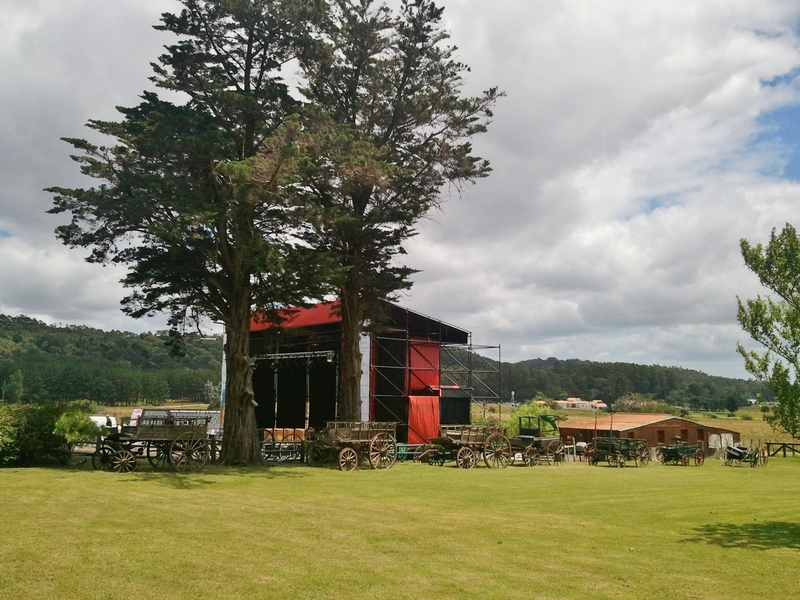 Medio y Medio runs a sell-out mini-festival in a characterful Punta Ballena venue, while the Conrad Hotel and casino offers a wide range of theatre, music variety, and floor-shows. There’s a good chance that summer visitors to Punta can find a cool end to their summer holidays. Birth of the cool … is that a halo or a music disc?